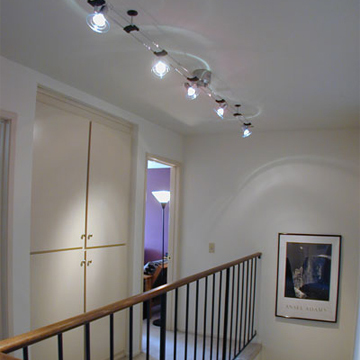 The lights in your home or office are clearly are one of its most important features. Effective lighting increases the functionality and beauty of your environment. On the other hand, lighting that is not functioning properly, or lighting that is poorly suited for the environment, can cause a variety of adverse effects, often disrupting the effects the lighting is designed to achieve. Whether the incorrect lighting technology is being used, light bulbs don't match the rating on their ballasts, ballasts have simply stopped functioning, or inefficient lighting is inflating your utility bill, you're not getting a proper return on your investment and, worse, you may be subjecting yourself to unnecessary safety hazards, such as risk of fire or shock, or personal issues such as eye strain or exposure to hazardous materials. Whether you are using incandescent bulbs, CFLs, or LEDs, and regardless of your application - home interior, exterior/landscaping/submerged, office lighting, or ambient lighting - there are a number of considerations that should be made to make sure you're receiving the benefits the lighting was designed to impart. Do your lighting electricity expenditures seem high? Do your lights appear dim? Do your lights appear to flicker, or noticeably change intensity when other appliances are turned on or off? Do your bulbs burn out too quickly? Are your lights bright enough, without being too bright, and is the color of the lighting aesthetically pleasing? Do your light switches and dimmer switches work the way they should? Do all of your light fixtures turn on and off when they're supposed to? Maybe all of the lighting in your home is functioning exactly the way you'd like it to, but you're looking for a new custom lighting solution to accentuate a part of your home or property. There are many solutions available on the market, and many of them are more cost effective than ever before. In addition to the low cost of installation, recent increases in efficiency technology mean that you'll save money while helping the environment. Whether you're looking to test your current lighting installations, need help troubleshooting and repairing a lighting problem, or would like an expertly designed and installed lighting solution for your new deck, pool, room addition, or landscaping, the experts at Spectrum Electric can help. We've been installing and maintaining Central Florida lighting solutions for years, and our level of expertise, dedication to quality, and competitive pricing ensure we'll always deliver exceptional quality at a great price.